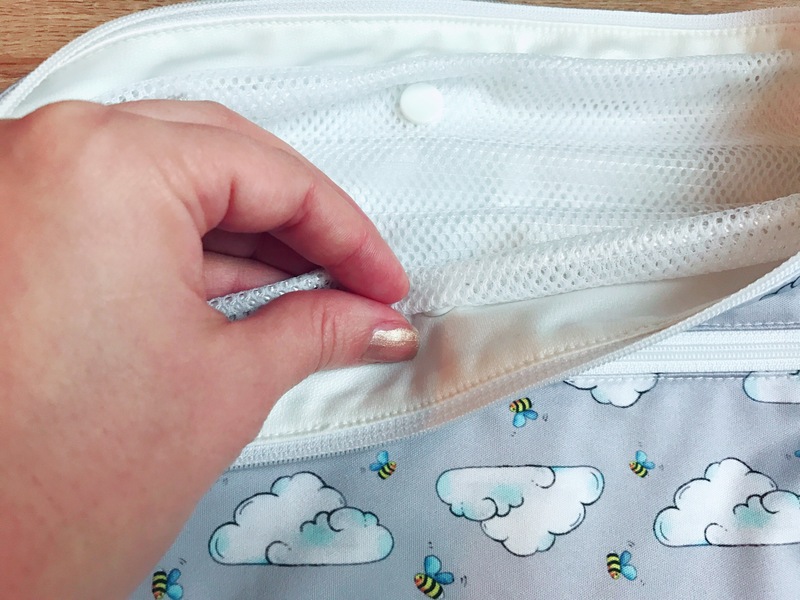 flying and cloth nappying made easy! I have been in many flights and airports with my children for the past 10 years. 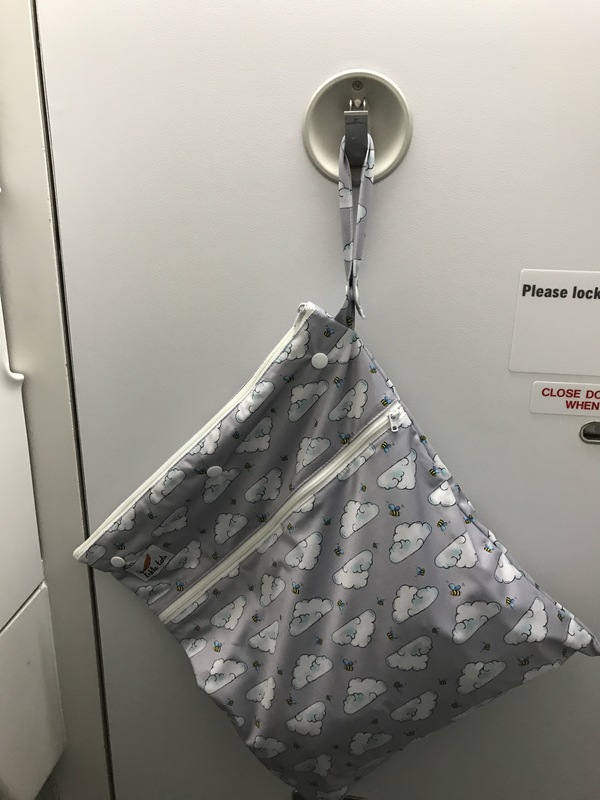 But travelling never really is stress free when it comes to changing babies in confined airplane toilets with bulky changing bags. Not to mention dashing last minute changes at airports or even inside the hire car. 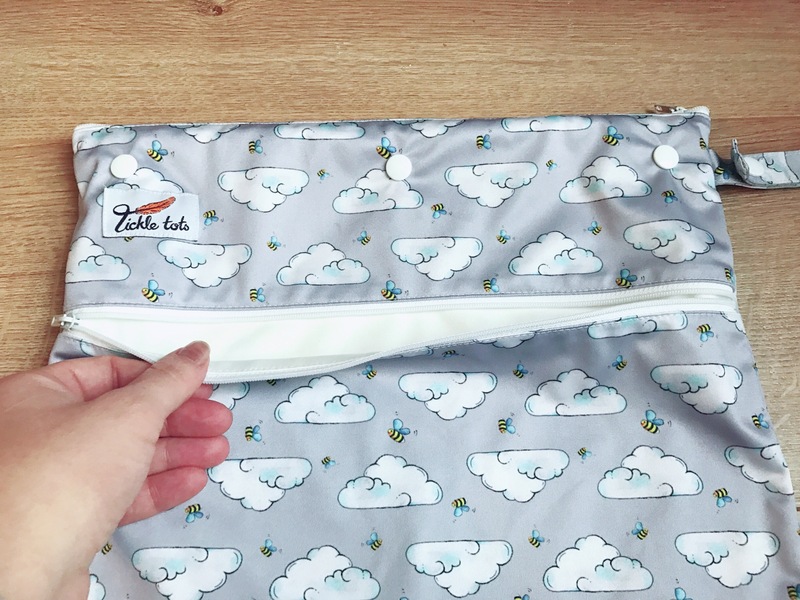 When planning my trip down to London last week I chose my ticke tots wet bag to take with me and it sure made the whole travelling experience with a 12 weeks old much easier. 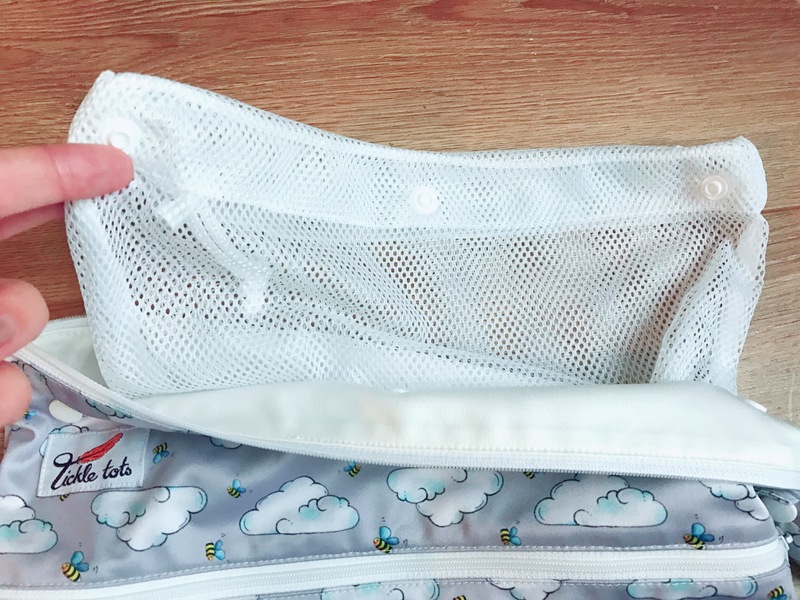 This wet bag has 2 pockets, the one at the front you can use to store your clean stuff, the one at the back your dirty ones. They are separate from each other, so clean and dirty don’t touch. 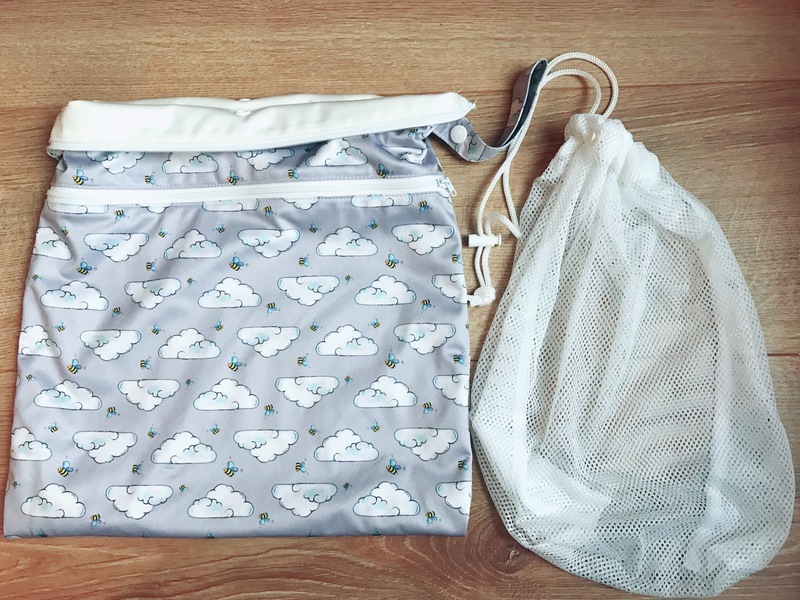 The wet bag is is double layered, making it thick and sturdy and keeping moisture and smells well contained when out and about. 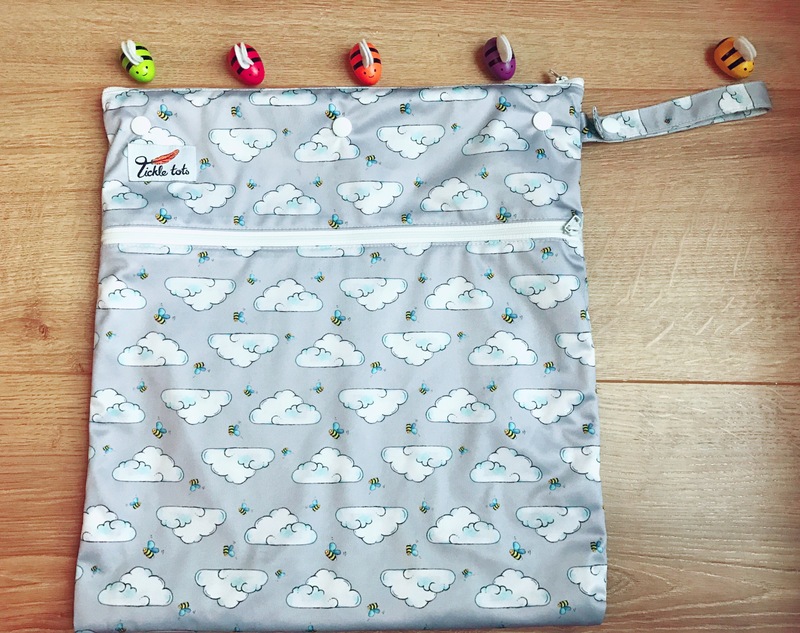 It was PERFECT for the journey, I placed 4 clean cloth nappies, 6 cloth wipes and a change of clothes so I would only take the wet bag to the toilet with me if Isaac needed changed. I own a variety of wetbags but this one is particularly good for taking out and about.